Hi, my name is Milo. I’m looking for a FOSTER or FOREVER home. I thought my luck was already bad, but it seems to just be getting worse. I’m just a year old, but I’m now going to have to move a third time. First, my family had a change of circumstances and was unable to keep me, then my second family no longer had enough time for me. I think all this moving has stressed me out so much because my third home are no longer able to keep me due to my behavioural issues. I have some lead aggression so would need a home who could help with my training and walk me 1 to 1. I’m quite boisterous so I would not like to live with young children. I’m house trained and know basic commands such as sit and wait. I could live with dogs if you’re experienced and can walk us separately. Please foster or adopt me! We have a beautiful litter of Havanese pups from our lovely Kyra. . Both mom and dad are family dogs and living with us, both of them are KC registered. We have 4 boys (Harvey, Hugo/RESERVED, Hank, Harper) and 1 girl (Hope/RESERVED) in the litter, please take a look at the photos. You can also find further information on our Facebook page: [link removed] We are registered breeders, and raising the pups in our family home. They will be socialised to any household noise, other dogs and children as well. The pups can leave after reaching 8 weeks of age and receiving their 1st vaccination and microchip. They will also come with an eye test which will be done when they are 6 weeks old. The babies are de-wormed in every 2 weeks. KC endorsements for breeding and export. Visits available, both parents will also be there. The pups will leave with a puppy pack of KC documents, eye test, 5 weeks free insurance, 1kg of their food (Royal Canin / BritCare), toy, blanket and any advice you may need. The price for the boys is 1400 and for the girl is 1450. Don't hesitate if you have any more questions. This beautiful lady is Lassie. She is 2 years old and is mummy to Alice and Anthony. She is in a Foster home in North Devon at the moment . She loves nothing more than a good cuddle, some belly rubs and to feel love and support from you. Could you give this little lady a furever home?? Lassie can live with dogs cats and children. One Black and Tan female & one fawn female available ready From the 24th of April. Fawn puppies £860.00 Black puppies £950.00 They are well socialised puppies .We have taken every care to make sure our puppies have had the very best start to life. They have received a healthy, diet, clean surroundings and the security of family. We have wormed our pups regularly with panicur 10% puppy wormer, . 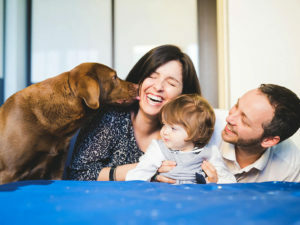 They have been socialised with our older dog and most importantly our children. Mum is our Puggle she is three years old and she has a wonderful temperament.Your pup will come micro-chipped, full Health check and with a money back Guaranteed Jackson ( the stud ) has fathered over 200 gorgeous healthy puppies he’s is so loving and has bags of character, Please call to view, £200.00 non refundable deposit required to hold puppy of your Choice . Hi. We have 4 chocolate Shi-tzu puppies, 2girls and 2boys, was born 20 March. Mum and dad are both small. Can be seen with there mum. Dad is from Lancashire K-9 Canine Services. They will be VET checked, microchipped and have their first vaccination before they leave. Also flea and worm treated. All puppies there are going with small gift and blanket with mums scent on. Little ones will be ready to take home when 8weeks old, on 15 May. Sorry, I prefer text only, due my work. Please text me only serious buyers. A non refundable deposit of £100, well be recuired to secure your puppy. Girls £750. Boys £700. 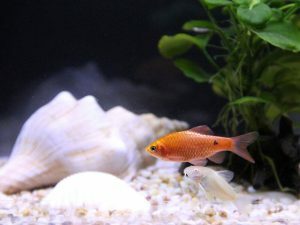 Tropical fish, especially the freshwater variety, is a popular choice as pet fish. With their wide array of bright colours, it is unsurprising why tropical fish are prominent. However, never succumb yourself to buy these attractive fish without knowing how to look after fish. 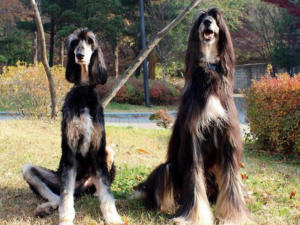 Would You Have Your Dog Cloned? The first dog cloned may be an Afghan Hound named Snuppy, but it was actress and singer Barbra Streisand’s cloned dogs that got people talking about replicating canine pets. Some welcomed such a development while others said it’s unethical and selfish. “Dogs look up to us. Cats look down on us,” said Winston Churchill. Although those lines seem to put down feline pets, the legendary statesman actually kept a few cats in his lifetime. 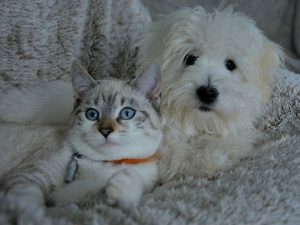 This does not suggest that one is better than the other, but the cat vs dog comparison can determine which pet is right for you.